Although this is an unscientific claim, it is one I make based upon my keen observations as one who studies children … young children love egg shakers!! I first came upon them in a baby music class. I noticed that more children participated enthusiastically when the egg shakers came out than at any other time, consistently, over 20 music classes. Homes, visited for Intelligent Nest consultations or for playdates, that already have egg shakers claim that their kids love them. I purchased a set for our home and agree that egg shakers are irresistible to everyone. Perhaps it is the fact that they fit perfectly in a tiny hand. Even still, it may be that even the smallest child can enjoy the soft, but rhythmic, sound that flows out of the shaker when they shake them. 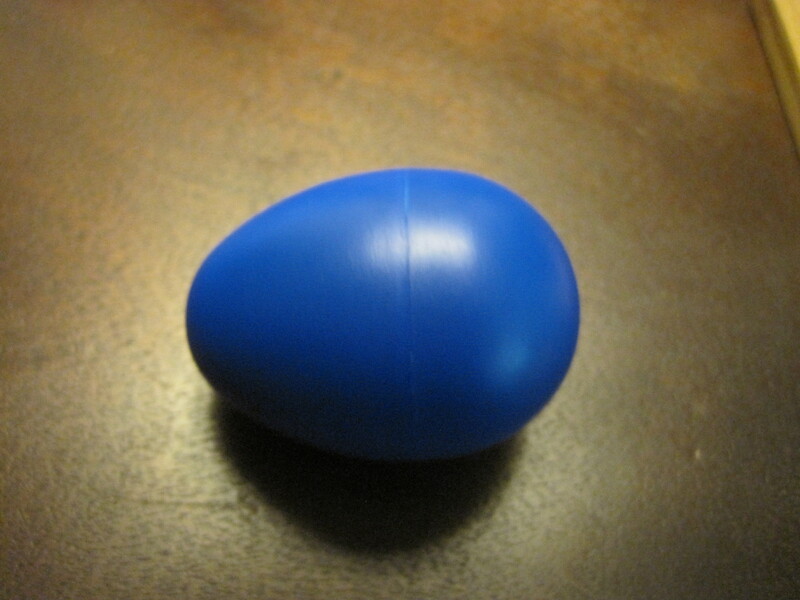 Egg shakers can be purchased at music supply stores, some toy stores and Amazon.com. They are best purchased in pairs or even purchased as a set of one dozen. Buying a set of one dozen costs more, but has its perks. Primarily, there are plenty to go around so they can be shared with friends. Egg shakers are an attractive toy because of the sound they emit and are hard to share, especially when they are gripped in a child’s sweet, chubby fingers. They are not played with for long blocks of time, but are picked up frequently for play. It is more fun to shake egg shakers when your friend or parent is shaking and dancing right along side of you. I bought a set of one dozen and display them in bins, boxes and even an egg carton from time-to-time. 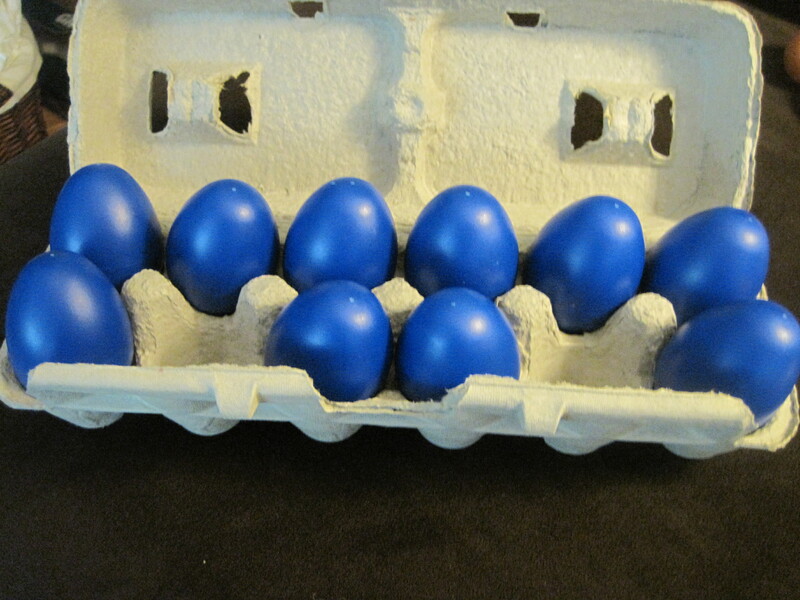 Babies and young toddlers, will enjoy taking the egg shakers out of the slots in the egg carton and placing them back in. Most children will enjoy dumping them out on the ground before shaking and dancing. It is important to teach children to not throw the egg shakers, as they are not balls. 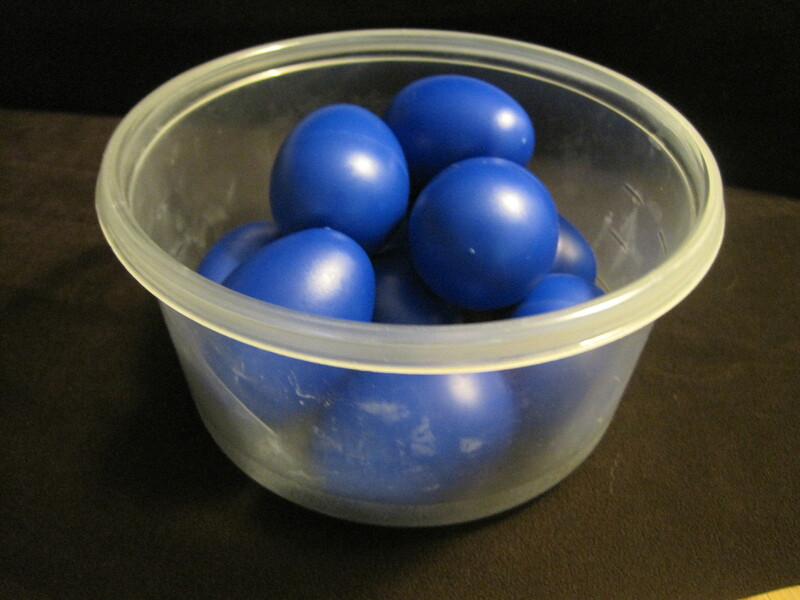 Egg shakers can crack open, with enough force, and will distribute tiny black balls all over your floor. It is also important to buy egg shakers that are large enough to prevent choking. Babies LOVE to mouth them- perfect shape. It is important to let babies mouth the egg shakers as they are simply trying to fulfill their need discovery, albeit with a gooey method. Put on some music and dump the egg shakers on the floor. Shake one, two or try to hold three at once! Listen to music of different varieties with different beats while you play with the egg shakers. If you shake to the rhythm, then your child will likely try as well. Avoid expecting that children will shake or play with the egg shakers in a certain way. Your child may want to line them up in a row instead of using them to make music. Children will discover and learn in their own way, but eventually they will enjoy a bit a rhythm while they do!